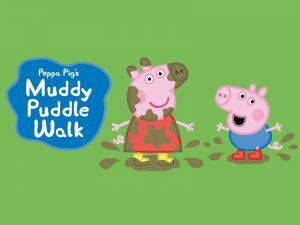 Join us for another firm favourite from last year – the Peppa Pig Muddy Puddle walk. Thousands across the UK will be joining in a Muddy Puddle Walk, come along with your family and friends and get sponsored to raise money for Save the Children. We will be meeting at 10 am at the Café at Temple Newsam and at 10am (Leeds nurseries) and at the Christ Church Stray (Harrogate nursery). Sponsorship forms are available from the office, alternatively you can make a donation on the day. Max has loved attending Sunbeams so I’m sure he will miss you too. He’s really taken to every team member he’s come into contact with so I can’t thank you enough, you’ve all been great.